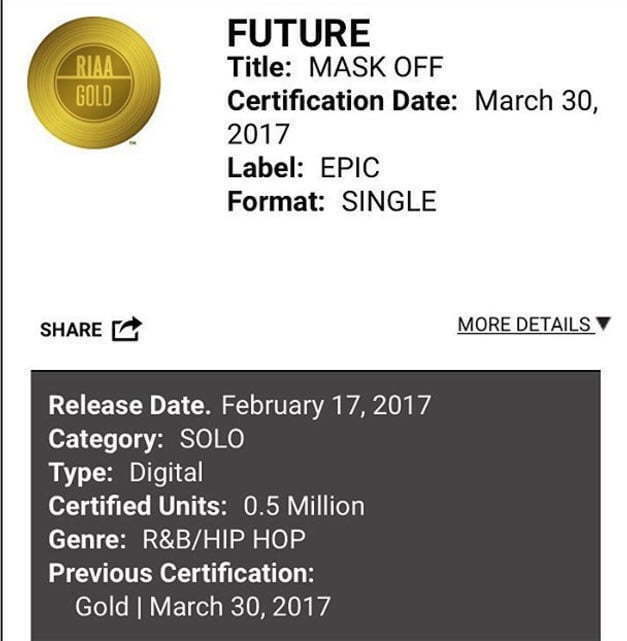 Future scored another gold certification for his single “Mask Off” off his self-titled album released in February. The RIAA has confirmed that the single has sold over 500,000 copies in the United States earning its gold certificate. 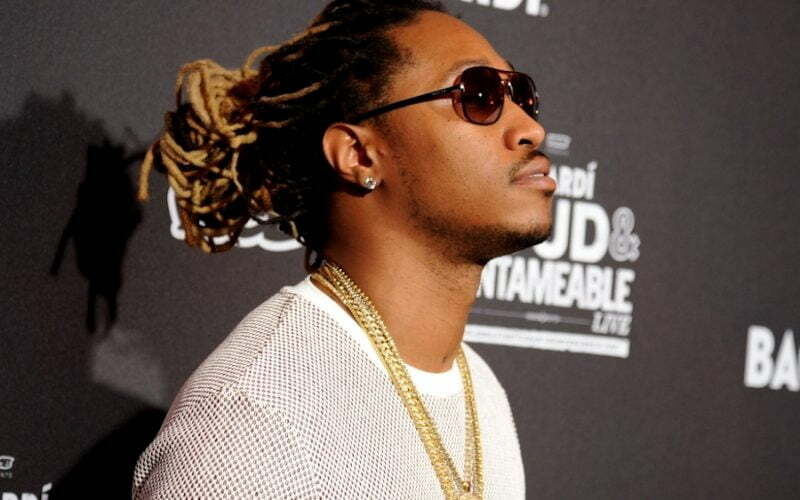 The album FUTURE debut at No. 1 on the Billboard 200 chart in February after selling 140,000 equivalent album units in the first week. The album singles were streamed 109 million times on streaming services making up for around 73,000 units of that total sales. The next week after releasing his self-titled project, Future released another album HNDRXX that earned him two weeks back to back No. 1 albums. That album sold 121,000 equivalent album units in the first week of its release, with 48,000 units being pure album sales. Future’s single “Mask Off” is also featured on DJ Marvel’s new Flute-inspired compilation mixtape (via HotNewHipHop). This means that the Metro Boomin-produced single is set to grow in sales and could potentially reach a million units and earned platinum certification.